Japanese wrestler BxB Hulk became the first DGUSA champion when he was booked to win the four-way main event title match at Saturday night's DGUSA show in Philadelphia. Hulk defeated Yamato, CIMA, and Gran Akuma to become the promotion's first-ever "Open the Freedom Gate" champion. 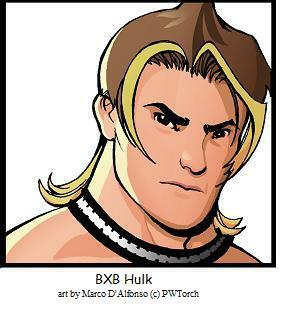 Hulk qualified for the main event title match by defeating Brian Kendrick earlier in the show. CIMA won a four-way match, Yamato defeated Davey Richards in a singles match, and Gran Akuma won a six-way match. Caldwell's Analysis: Hulk is a good pick for the promotion's first champion. I recently reviewed DGUSA's first show and Hulk stood out to me as the most marketable star on the show other than CIMA and Davey Richards. Hulk is a good babyface to build the brand around and he has strong charisma that transcends language barriers. East Coast Audio hosts Travis & Bardre were live at the show and their audio review is available in the Torch VIP audio section.